In India, interpersonal relationships are given a higher priority. Commemorating occasions and festivals together intensify this bond. Bhai Dooj is one such unique festival that celebrates the beautiful relationship between siblings. To add more warmth and love in this relationship Winni presents a colossal range of online Bhai Dooj flowers especially for this festival dedicated to brothers and sisters. Make the bond of siblings sweeter and lovable by presenting a wonderful bouquet of Bhai Dooj flowers to your sibling. 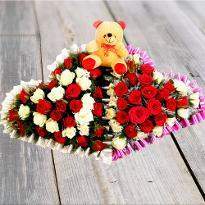 You can shop for the different arrangement of flowers. 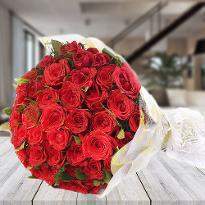 So, go ahead and order Bhai Dooj flowers and get it delivered to the desired destination. In India, people can’t imagine special occasions without including something more pleasing and amusing. Bhai Dooj occasion is a festival that entails sibling love, care and respect. We have a large collection of Bhai Dooj flowers which will infuse happiness in this wonderful celebration. Flowers are the stress busters. Their enthralling beauty and mesmeric essence can spread enthusiasm and optimism. They are considered to be the best gift for every occasion. 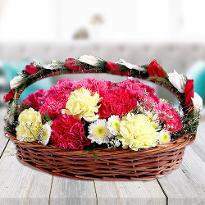 Therefore, Bhai Dooj flowers are the best gift for your brother/sister on the occasion of Bhaiya Dooj. 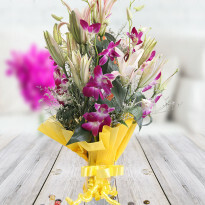 Flowers or Floral bouquets are the quintessential gifts for every occasion and festival. Celebration always seems to be colorless without bunches or festive festoon to celebrate the special day. 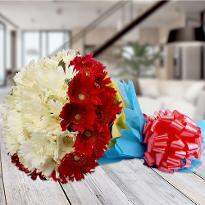 The enthusiasm in watching blossoming mead of blooms can be repeated to some extent keeping in mind the end goal to make a feeling of happiness and ponder in one's own home, and all you need to do to accomplish that by purchasing flowers online. It’s the beautiful way to experience happiness and amusement. Bhai Dooj is one such occasion that is commemorated wonderfully in India and flowers are the best gift which is often exchanged between brothers and sisters. Gifting makes the occasions or festivals more exciting. 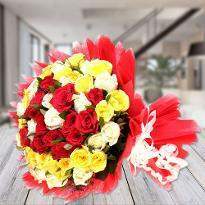 So, this Bhai Dooj present a wonderful flower bouquet to your brother/sister and convey your love and adoration. 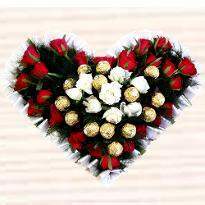 Along with Bhai Dooj flowers, you can also gift chocolates, cakes, sweets and other lovely treats. Brothers are the best buddy. A brother is the most trustworthy person who can help you in every sort of trouble. He is the guy who will scold you, adore you and respect you. He is the one who saves you from rebukes. Bhai Dooj is the best day to pamper your brother. Gifts are the medium to adore anyone. 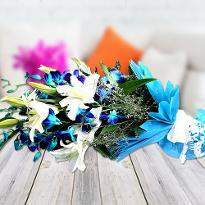 So, pamper your brother by presenting a gorgeous bouquet of Bhai Dooj flowers. The charm and elegance of flowers are hard to describe in words. 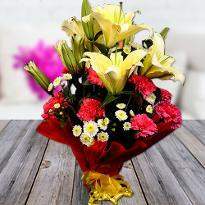 The magnificent appearance of flowers enables you to express your love and care towards your brother. Winni understands the cute relationship that exists between brothers and sisters. 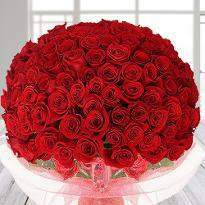 Therefore we are providing a huge range of Bhai Dooj flowers. 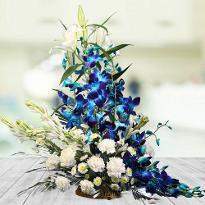 Whether you are looking for orchids, gerberas, carnations or roses, here you will come across flowers which are available in different colors as well as arrangements. 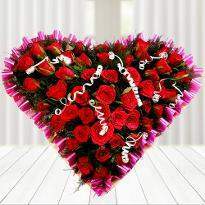 You can go for bunches, bouquets, baskets, alphabet shape arrangement, 2-tier and 3 tier flower arrangements. 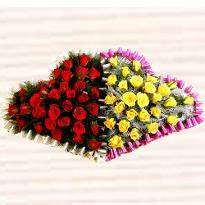 So, buy the best Bhai Dooj flowers and gift to your dearest brother. 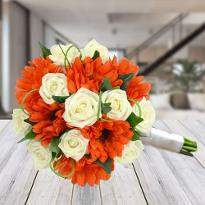 Flowers add a magical vibe to the occasions. 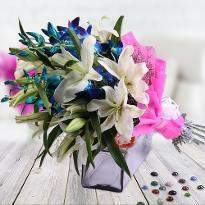 With their cheerful colors and elegant beauty, they can add friendliness in the relationships. 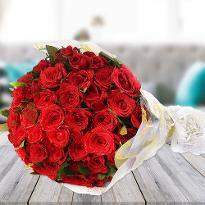 The optimism in the flowers can boost the mood of even the rude person. They indicate thoughtfulness and adds a touch of beauty wherever they are kept. 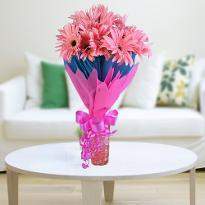 A gorgeous bouquet of flowers can surprise anyone when it is gifted on their special day or any other special occasion. Festive days remind us to keep the bond stronger and full of love. The relationship between brothers and sisters doesn’t need to be any affirmation. Bhai Dooj is one such occasions that introduce a chance to make this bond feel extra special once in a while. Celebrating Bhai Dooj with flowers is a good gesture that can cheer up your sibling. Bhai Dooj flowers act as a therapy to uplift the mood of the sibling. So, take Bhai Dooj as an essential day and increase love and warmth in the relationship. Your sister is one of the important ladies in your life who has inspired you in many ways. She is the one who will save you from parent’s rebuke. She will even help you in your study matters as well as love matters. She has always showered her endless love upon you. Bhai Dooj is one such day when she prays for your long life and happiness. 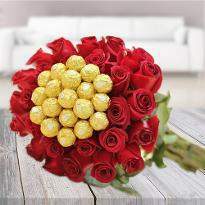 So, you should reciprocate your love by delighting her with a fantastic bouquet of Bhai Dooj flowers. 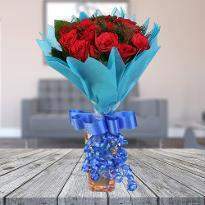 Winni offers online flowers for Bhai Dooj. 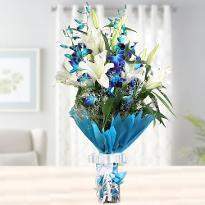 These flowers are available in a wide range of colors, variety as well as assortments. 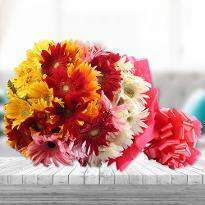 From simple flower bouquet to exotic flower arrangements, we have got the most amazing floral gifts for Bhai Dooj. 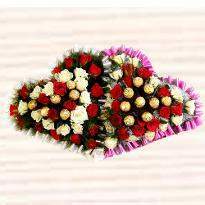 You can surprise your sister by sending Bhai Dooj flowers online even at midnight. The joy of receiving gifts get doubled when received at midnight. 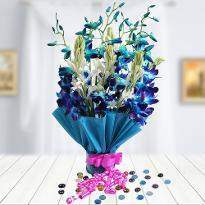 Therefore, surprise your sister with a fantastic bouquet of Bhai Dooj flowers. With our hassle-free delivery services, you can pour happiness in your sister’s life. Winni provides same day delivery, early morning delivery, standard delivery, next day delivery and express delivery. So, you can place your order for any delivery slot.